Sitting on the northeast coast of Saudi Arabia, Jubail is one of the largest industrial cities in the Middle East. From 1975 until current day, Jubail has seen rapid expansion and an influx of petrochemical workers. Although many internationals come to work in this city, Jubail remains predominantly Saudi (73%) thus making it an effective ministry city. 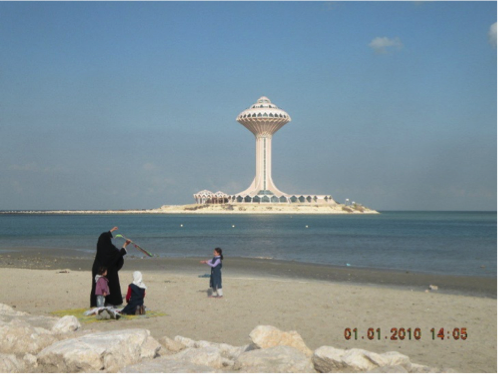 1- With the concentration of Saudi citizens in this area, pray that the Lord would send out Christian workers to this city who are willing to connect with the people of Jubail on a personal level bringing the Gospel in their conversations. 2- Pray that the local church would not only thrive in their passion for Jesus but that it would be brought out to the marketplace and proclaimed to those living in this city. 3- With Western influence entering this region, pray that the Gospel would also enter this region through YouTube, Facebook, television and radio. Pray that follow up and deep discipleship would occur.